We are growing! With more members comes more need, and General Provision has added an additional 780 Square Feet of work space to our foot print. 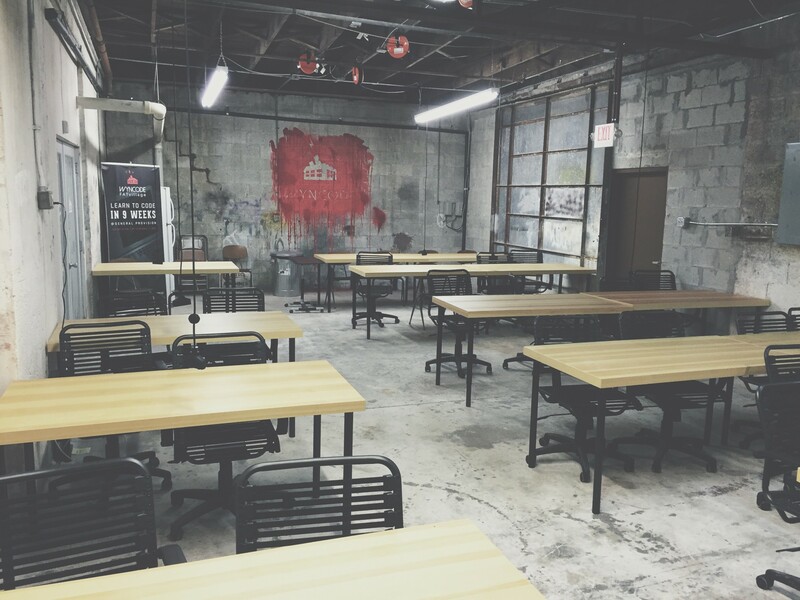 The new space will be dedicated learning space for Wyncode Academy, and is located two doors South. The industrial classroom will host our student members from 10am – 6pm. The added space will free up the War Room (conference room) for more meetings, and free up more chairs in the Commune for the rest of our members! We are truly thankful for all who have found a home at GP and look forward to all of those who help us continue to grow. Here is to a great end of 2015 and an even more fruitful 2016! Are you ready to join our community of entrepreneurial spirits? Click below to join us today! Previous PostGP’s Annual Pumpkin Carving ContestNext PostGP Presents Lightning Talks!